Dragon fruit is a low-calorie, great tasting fruit, high in fiber, packed with vitamin C and several antioxidants. 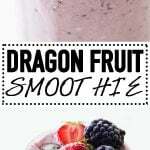 A dragon fruit smoothie is a great way to add dragon fruit into your diet. Have you ever tried dragon fruit? It tastes amazing and it’s sooooo pretty! Don’t you think? The fruit is also called Pitaya and is actually the fruit of several cacti. You recognize it by its gorgeous hot pink peel and green “flames” that make it look like a fruit on fire. So, many non-yogurt smoothies require all frozen fruit but the problem with dragon fruit is the same as banana. They oxidize once peeled and become brown. 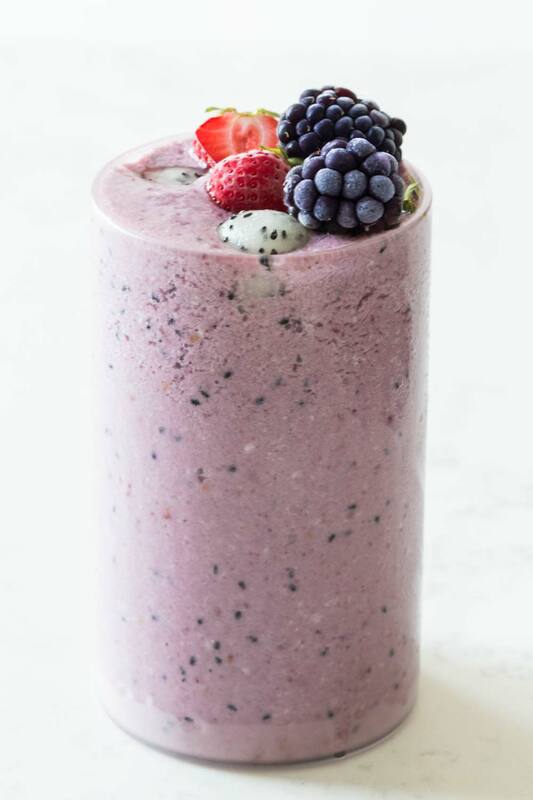 Putting one brownish banana in a smoothie full of tons of ingredients isn’t much of a problem, but putting a brownish banana AND a greyish/brownish dragon fruit in… uuum, meh! The trick here is to use coconut milk and freeze that! Freeze it in an ice cube tray. First, it’ll be faster and second, your blender will be able to blend it, as opposed to a big block of coconut ice. 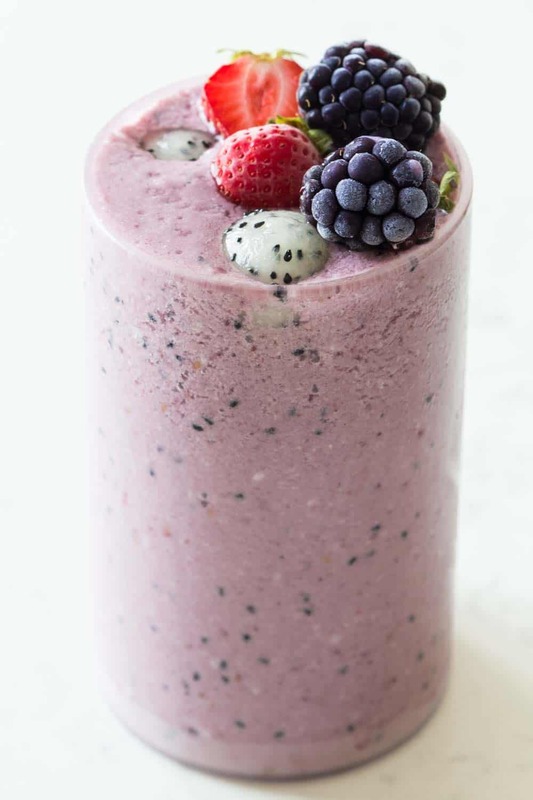 Mind you, that a Dragon Fruit Smoothie with Blackberry is “gritty” or “sandy” or however you want to call it. The dragon fruit has little black seeds and the blackberry has yellowish seeds. What I do to reduce that is blend and blend and blend. 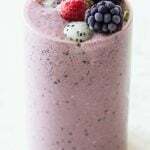 I blend this smoothie for a good 3-4 minutes once it’s already all blended together to bread down the seeds. You could potentially pour it over a sieve but honestly, I didn’t think it tasted bad at all. The texture was actually very nice! The night before put coconut milk in an ice cube tray and freeze until solid. Peel dragon fruit with a knife or by hand (as shown in video). 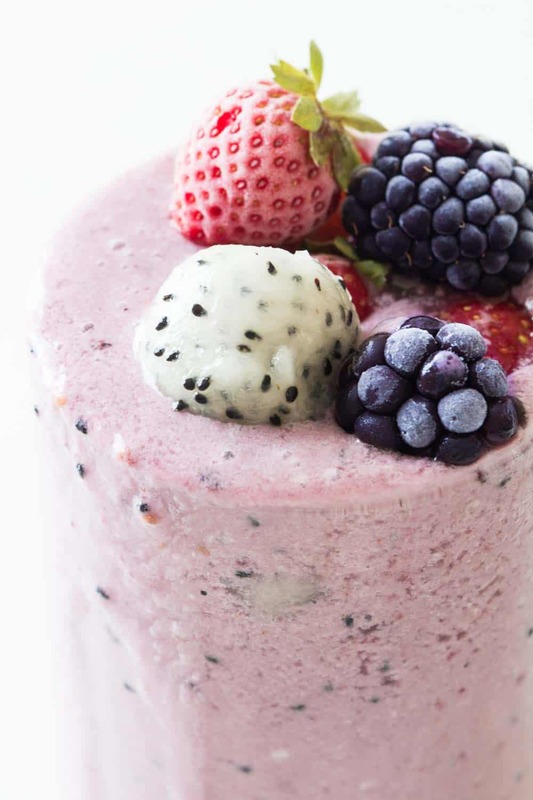 Add dragon fruit, frozen coconut milk cubes and blackberries to a high speed blender and blend until smooth.